Is mortgage appraisal eating away your valuable time? Are your clients frustrated with slow mortgage processing times? When mortgage companies hastily process applications, it can lead to financial implications that can delay or jeopardize a mortgage closure. Determining the fair market value and adhering to 100% federal compliance are still the two challenges that can be taxing on time and money. So, make the smart move by outsourcing mortgage appraisal service to experts like us. Outsource2india's mortgage appraisal support for companies can speed up mortgage closing and financing because we are already familiar with the mortgage landscape for close to two decades. Our panel of reviewers analyze buyer portfolio, reported vs actual measurements of the collateral, complicated compliances, and much more to help mortgage companies decide if the collateral is creditworthy. Our service is all about accuracy and timeliness. By electing our mortgage appraisal review services, we check the completeness, quality, and consistency of every report. 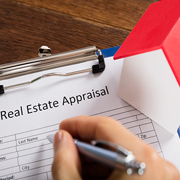 With up-to-date knowledge of the appraisal review methodologies, we ensure that the collateral property is accurately evaluated according to the industry standards. Behind the scenes, our pool of skilled resource will review appraisals in tune with the Uniform Standards of Professional Appraisal Practice (USPAP). We have a team of licensed appraisers who prepare the appraisal report after inspecting the collateral property. We perform appraisal process by working side-by-side with homeowners and appraisal companies to ensure a clean process from scheduling a site visit till submission of appraisal reports. We work under strict guidelines by meeting the need of appraisal companies within the stipulated time. We aim our service to reinforce your relationship with lenders by streamlining your business processes. With many years of true industry exposure to various mortgage challenges, we have emerged as the trusted outsourcing mortgage appraisal service company that provides swift document management, quality analysis, as well as communication support to clients worldwide. You can avail a host of benefits by outsourcing mortgage appraisal to Outsource2india. Why Choose Outsource2india for Mortgage Appraisal Support for Companies? We are an ISO certified mortgage appraisal company with the right experience working with lenders from many parts of the world. The knowledge of local, state, and federal law gives us an edge over other vendors. When you choose us over other vendors the difference is like night and day. Experience the best-in-class safety measures taken by our team to keep your confidential data protected. Our workflow is centered around accuracy and completeness in the services we render for clients. As part of this mission, we deliver plenty of value-adds that will help you grow in no time. When you need fast services or if you are under severe tie contains it becomes a challenge finding a partner who could work by prioritizing your concerns. However, we have the appetite for risk to bring you the values irrespective of your challenges. If you want to see a scalable performance in mortgage appraisal support, we have the key equation that will support upgrading one or many parts of the business on a short notice. Finding customized mortgage services is a rarity and it is even harder to find the ones which fit under your budget. Our cost-effective mortgage appraisal services are just what you needed to improve your service coverage and customer satisfaction. It is difficult to engage with members who are routinely cycled in a project timeline. Customers have to deal with reps who have limited understanding of the project. But not with us! We offer dedicated professionals who will not just assist you with quality service but will readily respond on a need basis. Completing appraisal without error is always a challenge that is not easy to overcome. We leverage automation software that takes care of bulk and routine tasks where precision and diligence is a priority. With the tasks taken care of by high-quality software, you can prevent errors by up to 75%. We have a team of 200+ certified general real property appraisers as well as residential real property appraisers. Our professionals are certified by the appraiser qualifications board (AQB) and have over 10+ years of experience in top mortgage appraisal projects. Our infrastructure is one of the advanced learning centers where much of the project is carried out. With security deterrents (digital and physical) we take care to preserve the integrity and quality of the project. Save up to 40% with ease by outsourcing mortgage appraisal support to us. We use FTP and VPN to securely accept and transmit the project files. This prevents the unnecessary risk of data loss or mismanagement. We are with you when you need to get in touch with us anytime, anywhere. Our project team and subject matter experts are available by a phone call or email when you need service assistance or project update. Read this mortgage valuation report to find out how O2I helped a customer who was a prominent residential mortgage lender with an average closing period of two to three months and was unable to process loans quickly. A US-based customer approached Outsource2india, as his in-house team of underwriters was not able to manage the increase in volume. Outsource2india provided him with a dedicated team of underwriters and helped him get business back on track. I am impressed with your team's ability to learn our system so quickly. They have a good grasp on how our system works, they even had to correct me on something today. Rajeev's response and attention to detail has been impressive and appreciated. Thank you everyone and I look forward to being even more impressed by your team in the future. Outsource2india has earned a name for itself in the competitive sphere of mortgage services. Our mortgage experts are no strangers to challenges vexing lenders across the world, which is why we are a leading mortgage appraisal support in India with operations covering 170+ countries. 20 years after we began operations, our ISO certified company is still the go-to brand for many corporates and small-sized lenders. If you are unsure where to begin, you need to get in touch with us to see our milestones and service portfolios. With over 50+ projects under the belt, we continue to clinch the name and recognition or being the best mortgage services provider. Get in touch with us if you want a reliable mortgage appraisal support to streamline client experiences.